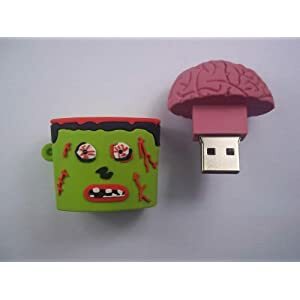 Recall my lunch with George Pfau the end of last month, he gave me a copy of the new book his essay is in: “Zombies in the Academy: Living Death in Higher Education” edited by Andrew Whelan, Ruth Walker, and Christopher Moore. 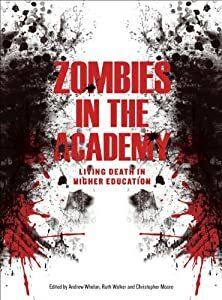 Today Inside Higher Ed has an interview with the three editors: ‘Zombies in the Academy’ by Serena Golden. In my own research field — which is a crossover between cultural studies and education — there are relatively few opportunities to take risks in the presentation of scholarly work. …There are two big taboos in academic writing, at either ends of the spectrum of using research: if you attribute to carefully and closely, you end up being derivative and weakening your authorial voice….In my ficto-critical chapter I was interested in drawing attention to the very fabric of scholarly writing, the referencing conventions themselves. Also, I’ve always liked the way footnotes are kind of like amputated limbs patrolling the bottom of the page, pointing up and begging for attention. … this chapter is an extension of that moment of truly terrible academic writing! Except that the next thing that popped into my mind (all lawyers think alike) was: See supra note ___. It’s hard to express just how frustrating and oppressive the bureaucracy of higher education can be. This is not news. Universitas non moritur, kids! Saying that that particular fight is done is actually kind of liberating, in that the cored-out space of the institution is still there, and maybe now we can start talking about what to do next with what’s left, rather than lamenting that which it is no longer possible to do. … Universities are important and socially symbolic in this context, so it is really only a start to say they are alive or (un)dead. Like anything else, if people care, they should do something about it. 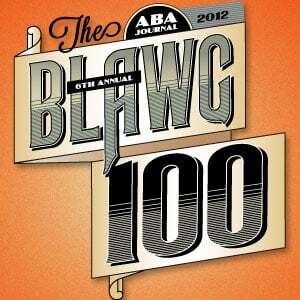 When I Used to read law reviews, I used constantly to be re-minded of an elephant trying to swat a fly. 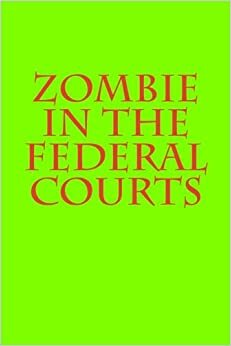 Now the antediluvian or mock-heroic style in which most law review material is written has, as I am well aware, been panned before. That panning has had no effect, just as this panning will have no effect. 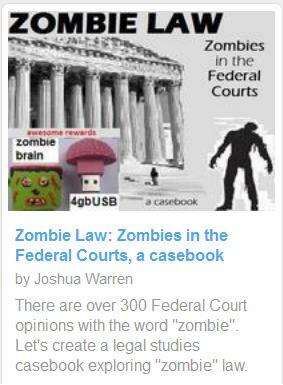 See more ZombieLaw Education or ZombieLaw Academics.